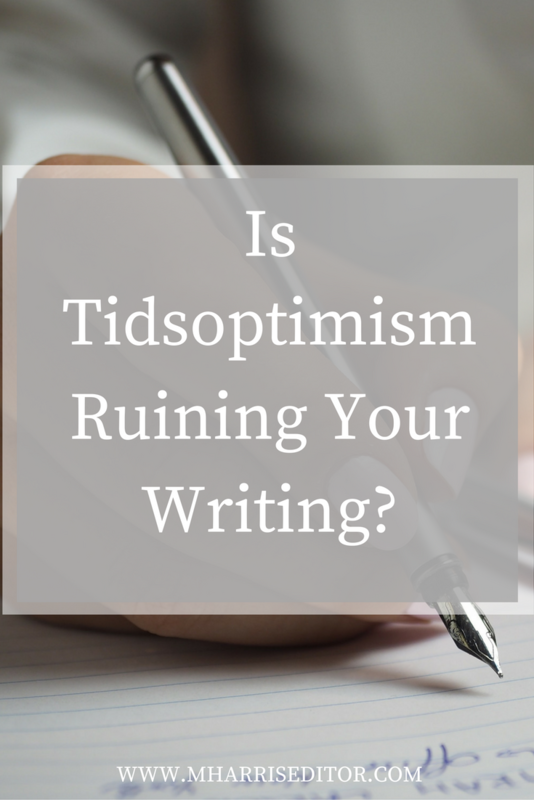 Is Tidsoptimism Ruining Your Writing? 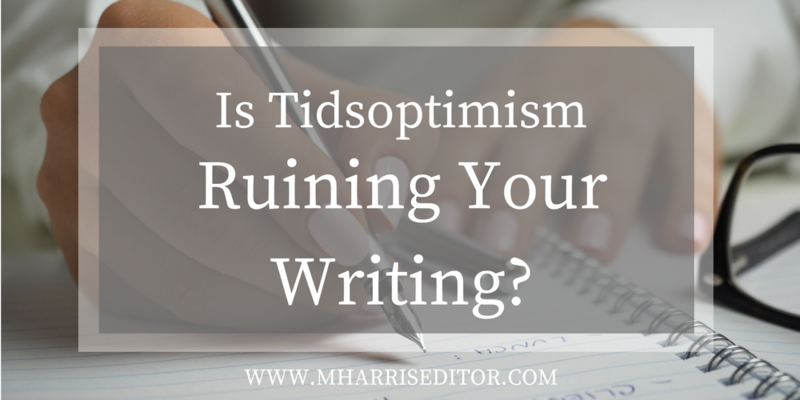 Home » Editor Blog » Is Tidsoptimism Ruining Your Writing? Although you might not be familiar with the term, a tidsoptimist refers to a person who underestimates the amount of time it takes to do a task. When you’re writing, it’s common to set ambitious goals for your word count. NaNoWriMo (National Novel Writing Month) wouldn’t exist if not for this concept. However, just like overambition in taking on other tasks might prevent you from meeting your goals, so too can tidsoptimism impact your writing success. When you sit down to write, it’s easy to envision accomplishing an amazing word count in a short amount of time. However, distractions come up at times and you fall short of that goal. Or you might reach your writing goal only to realize that it took twice as long as you planned! If you’re normally a pretty productive person, or have a good feeling of how you work, it can still be easy to underestimate the amount of time a project might take. You might have the ideal situation in your head only to find that it takes you longer than you anticipated. These feelings are normal and can happen to anyone, but it can be especially hard to get out of a rut when you don’t feel you’re doing your best. It’s tempting to want to throw in the towel when your plans take longer than expected. However, you can beat tidsoptimism with a few of these tips! Build in a Buffer – If you sit down to write and know that your ambitious word count might be pie in the sky, consider scaling back or using a realistic word count range. That way, you still meet a smaller goal of sorts and can get a quick win that keeps you motivated. Be Honest about Your Abilities – We all have a finite amount of time to do what we need to do, and we all fall short sometimes. When you suffer from tidsoptimism, it can be easy to overestimate. Log Your Time for Better Estimates – One thing you can try to rein in the time you spend on a project is to keep track of how much time it takes to complete it. If you review your time logs and feel like you’re off pace, or if your time log reveals that distractions are keeping you from succeeding, then use what you’ve learned to build a better work environment. Perhaps you’ll uncover information about yourself you weren’t aware of from the start! Find Support from Friends – The great thing about being a writer is you can both have seclusion to get your work done and find fellow writers to commiserate with. Twitter is a great place to find a community of writers interested in the same topics or genres you like, and holding each other accountable through regular conversation can be a great way to get the support you need to be successful. However, don’t let social media take over the time you could spend writing—limit yourself to a reasonable amount of time participating in chats or catching up with online friends so you can still meet your word count goals. If you struggle with tidsoptimism, or you find your writing needs a review, contact me to ask how I can help!